As described and fast shipping. Fast shipping! Thank you so much! Item is as advertised. Great seller and highly recommended!!! Great transaction. Highly Recommend. Fast shipping. Excellent transaction. Item was as described. Fast delivery! Thanks! Excellent seller! Recommend to all eBay users! Thanks for smooth transaction! 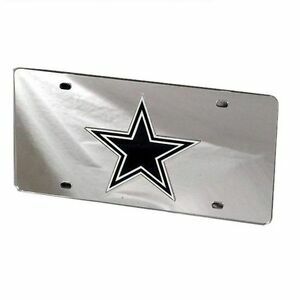 Fast ship and great deal on America’s Team plate. Great - super fast shipping. A++!!! Great transaction! Item was shipped quickly and was as described! I couldn't have asked for a better transaction. Super fast and exactly what I wanted. Definitely a must get product. The tags was cracked in 3 different places at the stars top point and the 2 bottem points. I was very disappointed when i opened the box to see it was cracked it was supposed to be a gift for my boyfriend.